“An Evening with Herb Mitchell…and friends” on Saturday, September 17, at the Blue Hill Town Hall Theater will feature Noel Paul Stookey, Paul Sullivan, Bill Raiten, Sheldon Bisberg and others sharing stories, songs and film clips that celebrate the life and legacy of Herb Mitchell. This was Mitchell’s first professional head shot, circa 1979. Tickets are available by calling NST at 374-5556. All friends and fans of local actor, Herb Mitchell, who died in January this year, are invited to attend “An Evening with Herb Mitchell…and Friends,” on Saturday, September 17, at 7 p.m. at the Blue Hill Town Hall Theatre. Musicians Noel Paul Stookey and Paul Sullivan will join New Surry Theatre founders Bill Raiten, Sheldon Bisberg and others to celebrate Mitchell’s life and legacy with stories, songs, film clips from his professional reel and many happy memories. 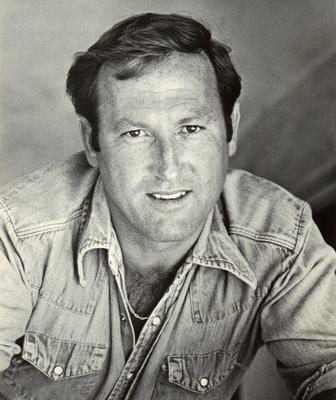 Born in 1937, Mitchell discovered his talent for acting as an adult on local community theatre stages. His 1973 performance as Tevye in NST’s Fiddler on the Roof really sealed the deal, according to a press release. At the age of 40, he turned professional and made an acting career in Los Angeles. After three busy decades, he retired to Hancock County and reprised his role as Tevye in a 2006 NST production at The Grand. All proceeds will benefit Hospice Volunteers of Hancock County and the New Surry Theatre. Tickets are available at the Blue Hill Library and the HVHC office in Ellsworth, or by calling NST at 374-5556. For more information e-mail info@newsurrytheatre.org.